Brian “Buzz” Park has spent the last 12 years helping small and mid-sized businesses in Los Angeles succeed with their marketing goals. Buzz is a graduate of the United States Naval Academy and a former Navy helicopter pilot. He was a Tactical Instructor and part of the team that built the helicopter Weapons and Tactical Instructor (WTI) program, based on the Navy Top Gun program. He has been awarded a Navy Commendation Medal, 2 Navy Achievement Medals, and the rare Master Training Specialist, among other awards. After leaving the Navy, Buzz worked for Pfizer Pharmaceuticals as a Sales Rep, winning both the District Sales Rep of the Year and Circle of Excellence Awards. He also received the largest cash bonus in his region in 2001. Buzz left Pfizer to spend 18 months as an Associate Pastor with Morning Star Christian Church (San Diego), and then moved to Los Angeles to take the Director of Sales position at BusinessWare, Inc, a technology startup. In 2004, Buzz became an Account Executive with CBS Radio (KFWB-AM 980) and the Dodgers Radio Network, helping small and mid-sized companies build their businesses through radio and digital marketing strategies. Buzz developed successful campaigns for Los Angeles-area clients including LA’s Metro Transit Authority, Hooters, International Truck & Engine, Rydell Automotive Group, Sunkist brand Almond Munchies, SureGuard Windows, Santa Monica BMW, Volkswagen Pasadena, and many others. In 2007, Buzz left CBS Radio to start his own marketing agency, what is now Lightyear Marketing Group, in order to better service the needs of his businesses clients. He now specializes in developing marketing strategies for local Los Angeles companies. Buzz is passionate about helping his clients Find, Get and Keep customers. He and his wife live in Sherman Oaks, California with their three children. 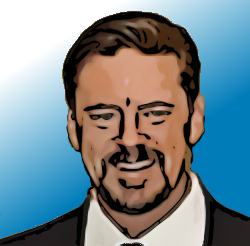 Jeff Spokes is the founder of Spokes Marketing, our sister agency in Baltimore Maryland. He has over 19 years of Sales and Marketing experience working to help small and medium-size businesses achieve their goals. His educational background includes a Master of Business Administration in Marketing and Bachelor of Science in Electrical Engineering. Jeff and his amazing in-house creative team provide most of the website fulfillment and support for Lightyear Marketing Group. 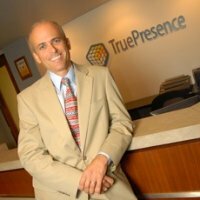 Jeff is also a former TruePresence franchisee.